The 10 Best Bookstores in Washington State! Reading is one of life’s greatest pleasures, and along with this lifestyle comes a certain contentment in searching for interesting and new books for you to delve into. Whether it’s a new novel or an aged cover, there are vast collections from across the Evergreen State to satisfy all your reading habits. 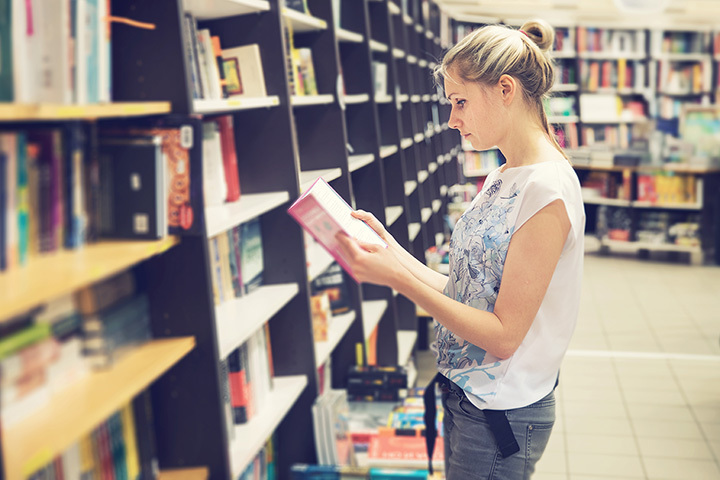 Begin turning the pages with these top 10 bookstores in Washington State! Located in beautiful downtown Spokane, Aunties Bookstore is one of Washington’s best bookstores. Attend a live author reading, browse their vast array of selections or peruse uncle’s game store or get a latte in the coffee shop located inside. Aunties Bookstore has been Spokane’s literary landmark since its doors opened in 1978. Make sure you visit Aunties Bookstore on your next visit to the inland empire! Take a Writers Class, or rub shoulders with a published author! Village Books located in Bellingham is more than a bookstore with three stories of new, used, and bargain books. Village books is a community favorite and a family staple! Bring your children to weekly story time and inspire the love of the literary to the next generation or you can hang with the adults and join a book group! Since 1973, the Elliott Bay Book Company has had a familial relationship with the local community, being the original bookstore café, the locally owned and operated bookstore has hosted countless authors over the years, including our recent president Barack Obama. Wander the aisles books for hours of intrigue, fun and discovery. Known as central Washington’s largest collection of new and used books, Encore Books offers a wide array for every type of reader. Yakima valleys go to store for all types of books. Whether its new, used, or out of print or rare, Encore books will have it or they will find it for you! Known for their ability to get their hands on almost anything you can throw at them, Encore Books earns a spot on our top 10! Locals praise King’s Books for their friendly staff, amazing prices and that special local feel. You’ll be hard pressed to leave King’s Books without at least a book or two in hand and an all-around pleasant feeling tingling your sense. Here at King’s in Tacoma, there is more than just books, there are community events and readings. King’s is a business known for its active role in giving back to the community. Located in Pikes Place in Seattle, Washington, Left Bank Books operates under a different motto, as a collective, they are employee operated, which means, they can do things which traditional storefronts have difficulty in accomplishing, such as being an Anarchist bookstore. Despite the political undertones, this bookstore hosts a kaleidoscopic array of reading material, all presented in a humble setting. Take a rest from the discordant sounds of the city and peacefully peruse some of the more difficult to find literature. Locals and Visitors alike have nothing but the upmost admiration and appreciation for Last Word Books located in Olympia, Washington. With a daunting collection of all sorts of genres, all you have to do is ask and odds are, they will be happy to show you an assortment of related books. Find a new interest through perusing the independent shelves. Bring your friends and spend an afternoon here, you won’t regret it! Last Word Books is worth the visit to Olympia alone! If mystery is your intrigue, Seattle Mystery Bookshop is the place for you! A curious case of a bookshop solely dedicated to the singularly immense genre that is mystery. Seattle Mystery Bookshop is a must stop! Investigate the well-stocked shelves and enjoy the comfy and cozy atmosphere for hours of lettered delight. A serious local and visitor favorite. Make sure you visit Seattle Mystery Bookshop your next time in town. With over 80,000 rare, hard to find, and collectible books lining the shelves of Magus Bookstore in Seattle, Washington, it’s no wonder that Magus Bookstore keeps up with a serious following of customers. This wonderful collection is varied, so you can find just about anything you could ever think of, and you probably will find something you never even thought existed. Enjoy Magus Bookstore next time you’re in Seattle! According to many customers, Third Place Books is a brilliant combination of bookstore, gift shop, community center, and food court whose atmosphere makes this a common gathering place for the local community, as well as a favorite hangout for residents. Peruse their shelves, grab a book and a coffee and stay for a while. Third Place in Lake Forest Park is a definite must see!